Establish yourself as a premier solutions provider in the franchise industry through CFA sponsorship. 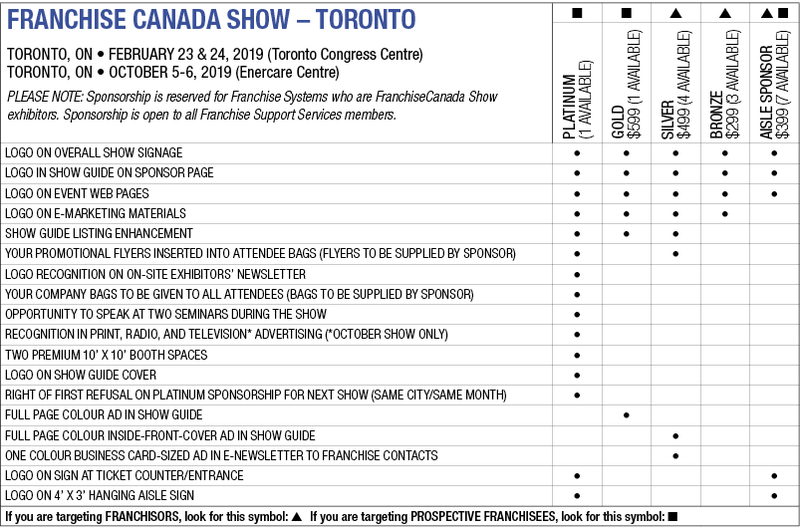 In addition to our elite National Sponsorship package, sponsorship opportunities are available for all regional and national events and tradeshows across Canada. Whether you sponsor nationally or regionally, this is your time to be recognized across the nation. Opportunities are limited and confirmed on a first-come, first-serve basis so don’t wait, book today! If you can’t find a suitable package, call the CFA office at 416-695-2896 ext. 225 and we’ll assist you to create a custom package that fits your needs. 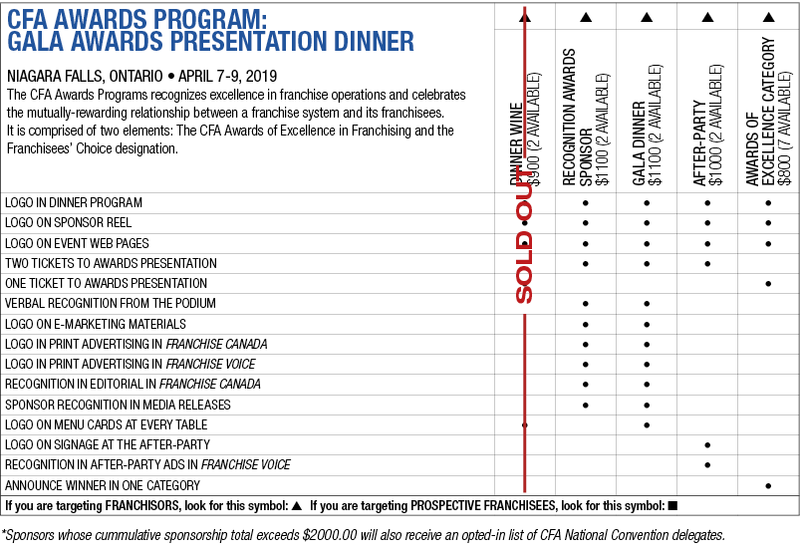 Reach decision-makers at top franchise brands through a customizable, year-long National Sponsorship of the Canadian Franchise Association (CFA). 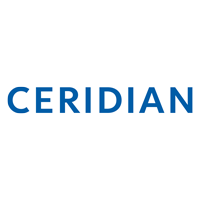 Click here to learn more about this elite sponsorship program. 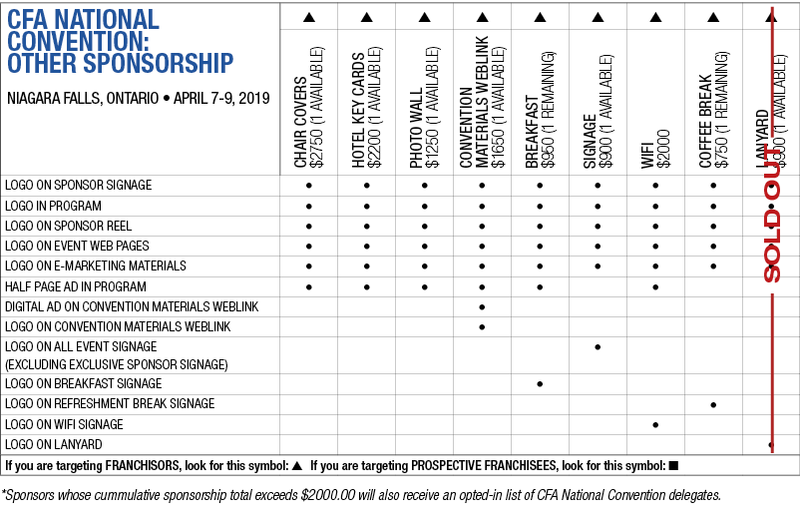 CFA’s National Sponsorship is an elite sponsorship program providing you with core benefits and a range of customizable options to meet your unique business objectives. The CFA National Sponsorship program is reserved for CFA Franchise Support Services (FSS) members. 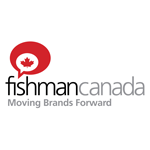 As a National Sponsor, you will receive exclusivity in your business sector. This means no other providers of similar products/services can be a CFA National Sponsor during your term. 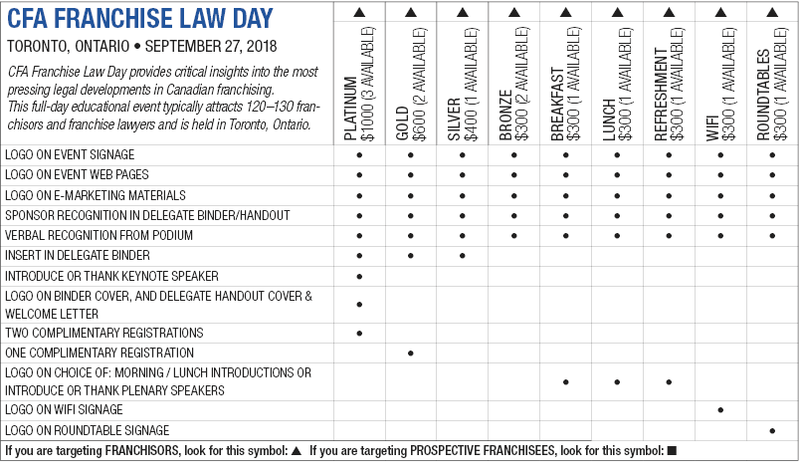 National Sponsor support plays an active and vital role to the success of CFA’s programs and services, which are key to promoting excellence and growth in franchising in Canada. 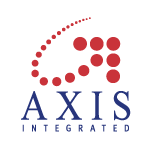 Franchise systems require the kinds of support products and services you offer and need to know about the value you can provide to their businesses. 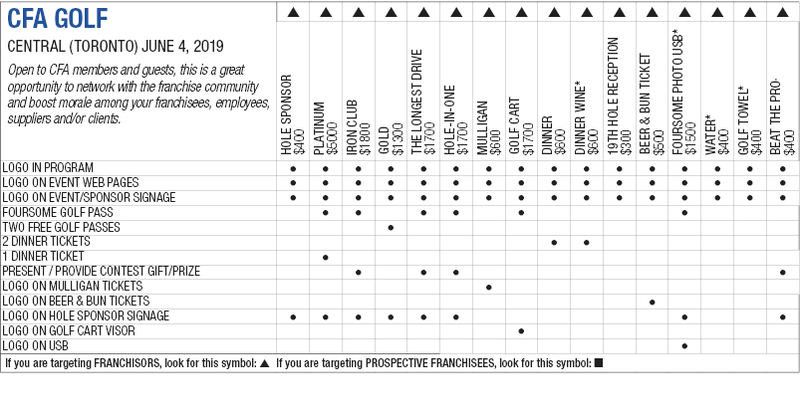 The CFA National Sponsorship program empowers you to connect with franchisors all year round through everything CFA does. CFA is committed to maximizing the value of your CFA National Sponsorship with flexible elements to drive your business goals. We look forward to meeting with you to discuss your objectives and how CFA National Sponsorship can be customized to best meet your needs. Opportunities are limited and confirmed on a first-come, first-serve basis. 2019 Convention details will be provided soon. Please visit this link for the great success that was the 2018 Convention. Opportunities are limited and confirmed on a first-come, first-serve basis. 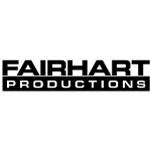 Click on the image below to enlarge. Visit tournament page for sponsorship information. 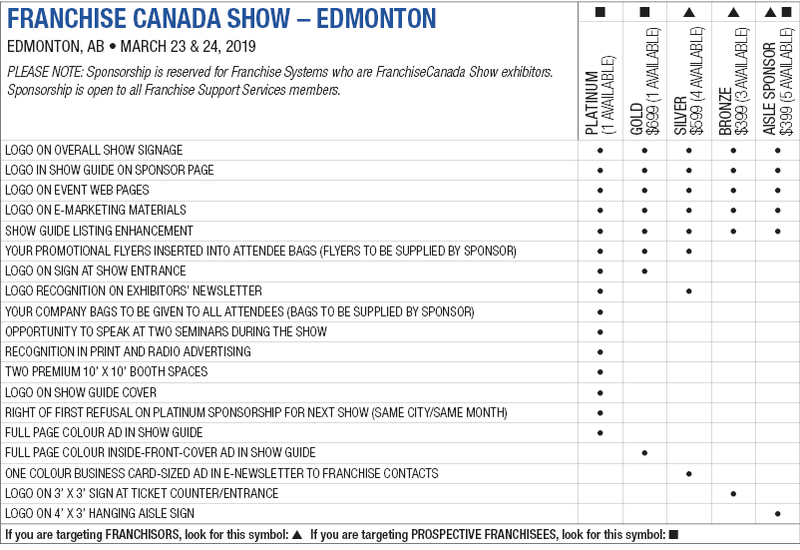 Increase your visibility at the Franchise Canada Show with one of the following sponsorship packages! For sponsorship information, please contact Lou Gervasi at lgervasi@cfa.ca or 416-695-2896 ext. 243. 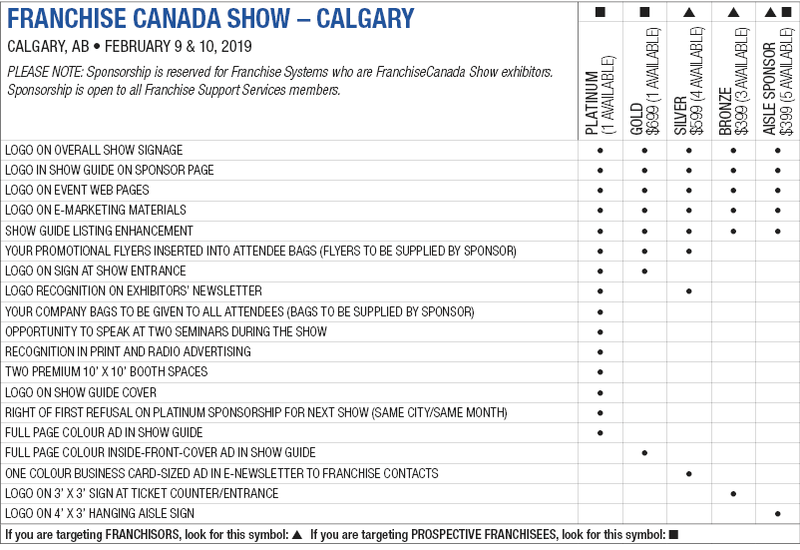 Please note sponsorship is reserved for franchise systems that are exhibiting at the Franchise Canada Show, but open to all CFA-member suppliers.